Virgin Media in new illegal filesharing clampdown - an effective warning to parents? Or little more than mis-judged PR? Virgin Media and the BPI have announced a new campaign to crack down on those customers illegally downloading and distributing music illegally. “As part of the campaign, customers whose accounts appear to have been used to distribute music in breach of copyright will receive informative letters, one from Virgin Media and one from the BPI,” Virgin’s press release informs us. “Accounts will be identified by Virgin Media on the basis of information supplied by the BPI. Both letters will be distributed by Virgin Media, without the need to disclose customer names and addresses to the BPI,” it continues. 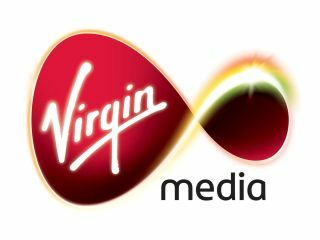 Geoff Taylor, chief executive of the BPI said: "Education is absolutely key to reducing the extent of illegal downloading... this joint campaign with Virgin Media is the first step towards achieving that goal." What is not made entirely clear is what information is to be supplied by the BPI to Virgin to identify these accounts that ‘appear to have been used to distribute music in breach of copyright' as the BPI, according to Virgin, 'does all the detecive work'. We have requested further information from the BPI to give us a little more clarity on this issue and will update you as soon as we get further information on this.